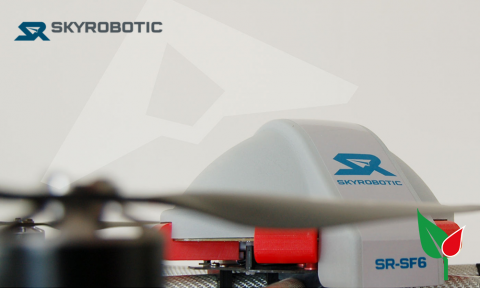 SkyRobotic SR-SF6 Multirotore – . : Italeaf Group – Innovation To Make The Change :. Il nuovo multirotore SkyRobotic consente una gamma completa di funzioni innovative e integrate che rendono il drone civile e commerciale più facile da controllare e più sicuro. Utilizzare un drone SkyRobotic significa far volare un aeromobile con un elevatissimo contenuto tecnologico. Grazie ai tecnici specializzati che si occupano di tutta la filiera industriale, dalla progettazione alla system integration, fino alla produzione di piattaforme chiavi in ​​mano, il multirotore SR-SF6 è un sistema robusto, pratico ed efficace nel campo del telerilevamento di prossimità. Skyrobotic grantisce standard elevatissimi, grazie a 10 anni di esperienza e innovazione nel campo dei sistemi aerei senza pilota da parte di un team completo e integrato di professionisti del settore. I nostri software, strumenti e procedure supportano l’utente finale in ogni fase di utilizzo del sistema, a partire dalla formazione fino alla gestione di tutte le attività di manutenzione. Inoltre, le prestazioni degli UAS di serie sono garantite grazie ai test di qualità effettuati con un software di simulazione SkyRobotic e all’uso di materiali compositi aeronautici. The 6 rotors and performance engines provide a massive thrust. The copter reached a climb rate of 8 m/sec and a speed of 40 km/h. Even if one motor would fail the device has enough power to fly safely. The innovative lightweight carbon fiber casing provides protection to the propellers when the UAV is flying close to objects. Bystanders and objects protected by the case from the rotating propellers. The Hexacopter can fly programmed flight paths autonomously and independently take predefined aerial photos. The coordinates could be entered in the Software on a map. After launching the drone the software takes control and flys along the flight path automatically. With programmed routes it is possible to make Aerial photographs for land surveying, 3D models of buildings, building development, thermography images for the maintenance of solar systems, detailed aerial photos for the maintenance of power lines or wind turbines or images for the inspection of bridges. The application possibilities are almost endless. In addition to fully autonomous waypoint flights the the device also allows the dynamic setting a waypoint during a flight. This gives pilots unprecedented opportunities for aerial survey of an object. The intuitive camera mount with automatic pitch and roll compensation provides steady and blur-free pictures and videos. You can change the settings during the flight and move from horizontal to vertical camera angle. The unit is compatible with professional SLR, thermografic, video cameras, and many others. Additionally a live stream via a small camera can be transmitted to the ground station or to the video eyeglasses. In addition to the RC remote control, the Hexacopter can also be controlled using a Tablet PC. Therefor no RC experience is required. 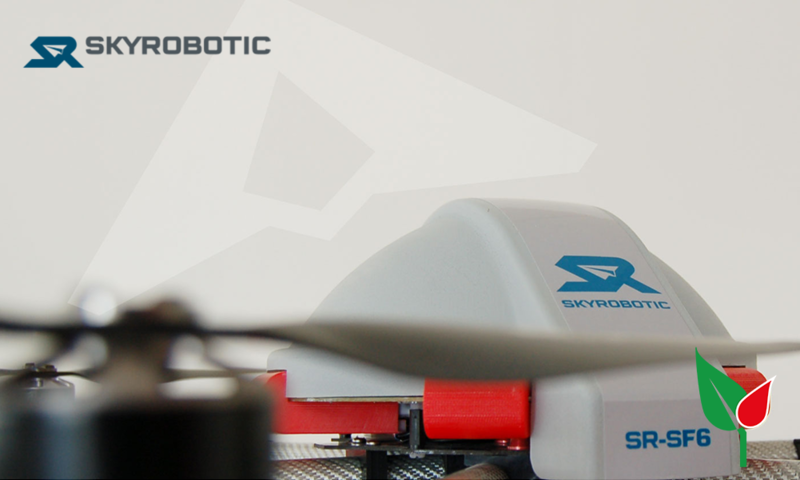 Almost all of the functions of the copter can be reviewed and changed by the control panel. With the development of automated takeoff and landing process, the control of the Hexacopter is even easier. It is now possible to start the device by means of a button press and to land. At the same time can be flown in a practice mode in a virtual shelter, which the Hexacopter can not leave. This is the minimum height, always respected up and down. The crash risk has been minimized in the least. Once the copter after a car start in the air, you can take control and steer the copter. In the fact that the UAV goes out of range, you can use the coming home function. After activating the UAV automatically returns to the starting position. If desired, you can control the copter by two people. One person controls the UAV and the other person the camera. With this option you can make impressive shots. The video broadcast can transfer the live image of the copter. It can be viewed by the ground station or by a video display goggles and can be controlled as being on board. Innovative sensor system based on methods of artificial intelligence and image processing for collision avoidance (Release Q4/2014).